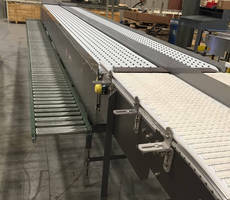 Multi-Conveyor’s Stainless Steel Constructed Conveyors are equipped with 5 servos and six brake motors for merging requirements. 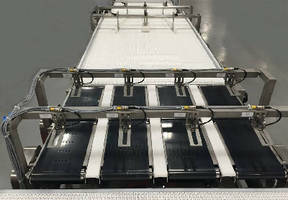 Forty photo eyes are employed in conveyors that help in tracking case positions in relation with upstream and downstream conveyors. 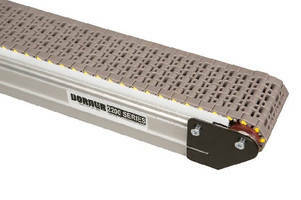 The conveyors offer capacity of 20 CPM and are designed to NEMA 12 and NEMA 4X standards. 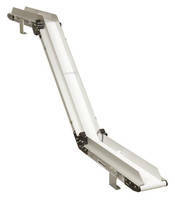 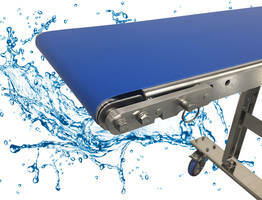 Slim-Fit™ Transfer Conveyors feature V-guided end pulley. 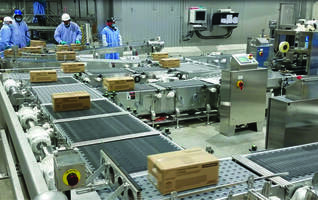 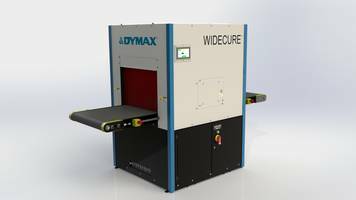 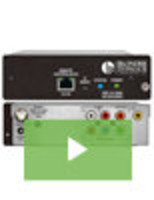 Widecure Conveyor features touch screen control panel. 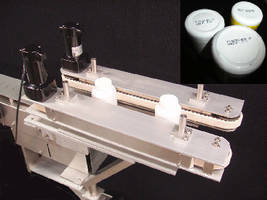 Bottomless Belt Conveyor eases printing on bottle bottoms. 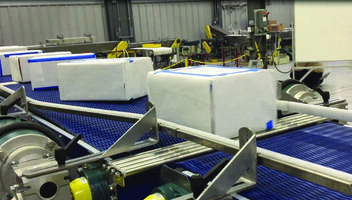 Z-Frame Conveyor fits under machinery and other tight areas.